Well, you just squelched my entire line of questioning! What is there left? I'm enjoying your recounting of your life so far, by the way. What age group or grade level do your books target? Marta, thanks for asking our first official Dashner Dude question! The Jimmy Fincher Saga is definitely for a middle grade (MG)audience first, but plenty of young adults (YA) and grown ups have seemed to like it, too. Especially as it gets deeper into the series. My new book is going to be marketed to both the MG audience and the YA audience. It's definitely longer than any of the Fincher books. I think it's going to clock in at almost 400 pages. Well, I thought that I would post my question here, if thats what we are supposed to do. So my question is: Are you, like many authors, not allowed to read other people's writing. If the answer is a no, could you PLEASE read some of mine? Mr. Dashner, I have a question about the Jimmy Fincher saga(which i just re-read a second time0_-). I noticed that in book three, Rayna saw a third image in the picture that jimmy gave her. It said it was more terrifying than the first two, but it also said she told jimmy at a much later time. I then proceeded reading, finishing the fourth book the very same night( call me a fanatic, but I have nothing better to do. )After finishing, I noticed Rayna never told jimmy what the picture was. What could this mean? could you please answer this question for me? I think it's time to upgrade your minion's armor. hey james! this is a girl from petterson elementary! you signed my book also. i was wondering, how many books do you think you will write in you entire life? How would I go about trying to get an ARC for the next Maze Runner book? I'm taking a Creative Writing class at my college and I have an assignment to interview a writer, and your name was the first that came to my head! I read The Maze Runner in one day and I really wanted to email you some questions because I loved the book so much. My assignment is to ask 10 questions so if I could e-mail them to you I would really appreciate it. I'll try to make them interesting questions, and there's no rush to answer them. Thank you so much, and please let me know if you can help me out. Thank you! just sent you this from 13threality.com, but i'm not sure if you'll read it, so i want to post it too. oh......my........GOSH!!!! OMYGOSHOMYGOSHOMYGOSH!!!!!! AHHHHHHHHHHHHHHHHHHHHHHHHHHHHHHHHHH!!!!! HOLY FLIP! HOLY.... HOly flip! i just read the 3rd 13th reality. PERFECT!! absolutely brilliant! love the twist at the end! LOVE master George's response to tick ceasing to exist! is there ANY way you can get me the 4th book in a week! haha but seriously. YOU'RE A FREAKING GENIUS!!! I PRACTICALLY SHOVED THE SERIES DOWN MY FRIENDS THROAT TO GET HER TO READ IT BUT SHE LOVES IT TOO! not as much as me of course, because that's not humanly possible. wow, I've read each harry potter 37 times. and i like Tick more than Harry. i mean, WOW!!!! Tick saves the universe and uses amazing inhuman powers to defeat Jane while his friends are about to get killed by a tidal wave and Sato is saving the lives of CHILDREN! and then, right at the end you mix in the perfect amount a concern and shock for tick, who is stuck in the NONEX!!!! and MG is baffled (love that word) and Sofia and Paul are like "what the crap happened to our BFF?" well, maybe not BFF< but still! how can it get any better? PLEASE< PLEASE, PLEASE work super super hard on the 4th one and send it out ASAP!!!! AHHH! I will be an author, I can sense this. I really admire your Maze Runer book, and I think maybe books like that and F451 and Brave New World are just the kind of things I like. Anyway, I was just curious if creating an elaborate plotline and masking them with mysteries and hints came natural to you or is it an inherited gift? I'm glad that I picked your book out of all others. OK, so the dreaded question... What do you do when you're writing and just get stuck? Like, sink in a slump? I'm writing a story and I have made it to chapter two and I'm stuck... I know where I want to go, but what can I do to help me get there? Any figurative compass or map you can pass on? Or any towing line to fish me out of a rut and set me back on the road? Will Thomas ever feel the same way for Teresa in the upcoming book? Will Thomas like Teresa again? Hey, Mr. Dashner, Ben here. I know it's Christmas and you won't read this til' later but I'll go ahead anyways. What is your best strategy for developing characters? Any specific tips or tricks? So I just finished the last page of The Scorch Trials, and I must say, I didn't expect any of that to happen. It's an amazing book, the first in years that I just could not take my eyes off of. I just read how the next book would not hit the shelves until October, though, the way the book ended and how Thomas felt at the end, I can't help but ask, is there any possible way that the book may be released at a sooner date? Love your work by the way. Maze runner trilogy is excellent I basically ate up both books... literally. As soon as I finished the Maze Runner I bought the Scorch Trials on the Kindle Store. As for a questions I have one on world building. I read through your author history and I noticed editors said that you are a great world builder. Coupled with the evidence from the Maze Runner trilogy I wondered if you could give out any tips for authors on how to build a strong world for their characters. If you could I would be thrilled. First of all I just wanted to say that you are my favorite author of all time! I like your books even better than the Harry Potter books. I didn't realize how much I liked writing until I read your books and they really inspired me. (I really like how you don't use swear words) I guess my question is how you can run your story so smoothly? I always feel like I'm just jumping from one thing to another and can't really seem to make it flow together. Anyway I love your books and you're my inspiration that keeps me writing! Hey! I loved your Maze Runner series! I can't wait until the next book comes out! Anyways, I wanted to know who Dallin was (in your dedication in the Scorch Trials)? I have the same name and could never find anyone else with the same name as me! I just picked up the book today nd am looking forward to reading it! The Maze Runner series: http://www.sobrelivros.com.br/info-maze-runner-james-dashner/). I am contacting you because I’d like to know if you can give us an e-mail so that we could get in touch with you? our team would love to interview you and the Brazilian readers would love the opportunity to get to know you a little bit more. 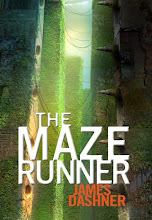 The Maze Runnes series is a success here in Brazil and the release of the second book from the Maze Runners series is scheduled to September of the current year. Please think fondly about my request. I'm fifteen and I've been listening to the Wordplay podcasts and I find them really helpful. I've always loved reading, but you, along with the help of Orson Scott Card, have been the one person who has really gotten me to pursue writing a novel. I've always tried and tried, but never managed to stick with it. I've gotten a lot of encouragement from your work and I can't wait for the day when I finish my first novel! even if I never try to publish it. On october 16th i know you're coming to Seattle and I really hope I can go see you and GET THE DEATH CURE! Thank's so much for working so hard and inspiring me to do so also! I'm writing a term paper for school with the topic "Utopian Elements in the English Literature"
Therefore I have chosen "The Maze Runner" and "The Scorch Trials"
What I wanted to ask you is had you some of the Utopian/Dystopiab aspects in mind when you wrote the books? James, I would like to know why I am unable to purchase 'The Death Cure' in the UK. It came out on the 11th of October as far as I am aware, but it hasn't come out in the UK. On Amazon it just says 'buy used copies'. I really want to read the 3rd book because I have really enjoyed the two previous books, probably two of the best books I have ever read. Please answer my question as I would like to read The Death Cure as soon as possible. I am a high school English teacher and one of my assignments is for students to write a letter (the real snail-mail kind)to the author of the book they just read. Question: What would authors (namely, you) like to hear from students (apart from how great you are...)? Any chance we could email about this??? We are seventh graders,and we are doing a project on your book The Maze Runner. We looked online but did not find much about you.It would really mean alot if you would answer these following questions. What influenced you to write The Maze Runner? Who is your favorite character you created and why? Mr james, I just finshed the triology of the maze runner and that is like all I can think about. You have no idea how awesome i think the maze runner triology is. That was by far the most interesting book or book series at that i have ever read, anyway I've read a bunch of popular books like the hunger games etc. This series beat that out by a mile. If you could somehow make another series that connected to the maze runner series like aris's exsperience in the maze with group B. I would read it and o btw since I finshed the trioilogy im reading it again I've never ever read the same series twice. i was wondering if yo will ever make a bookon thomas's life before he got his memory lost? I have one thing to say to you (btw total dr who quote). TEAM TERESA. When you write your characters in the maze runner, or any book for that matter; do you ever see an actor that resembles what you have in your head? I see Minho as Lee Jun-Ki for example.. Question 2: Does writing in present tense come naturally to you or do you have to work at it? Wow, where to begin? I stumbled across the Maze Runner one dark and stormy night, and decided to try it. It's been three days since, and I am officially HOOKED! What is this I hear of a movie?? I am really interested in the film industry, so do you think you could have a page for the movie? Update us on what stage it's in, who has been/rumored to be cast, etc.? Thank you so, so much! Keep up the excellent work! I am a 7th grader. We are doing a project on our favorite authors. I picked you. I was wondering if you could tell me why your main charecters are always teenage boys. Thanks! Hey, James, I am a 7th grader in hopes of getting the role of Teresa in your movie. But I do feel I am a bit young but that will NOT stop me! My question... if you know the answer... is.... How is the movie coming along? If you know... I heard authors have almost NO SAY in what they want in the movie! :O I know the movie process is long so I wanted to know how far you've come. Did you get a production company to support the movie? I am ecstatic to even attempt to contact you let alone have the opportunity to speak to you. I am addicted to acting, I have been bitten by the theatre bug, and I am hoping we have the chance to work together in the future. Thank you so much for your time and consideration!! I just downloaded The Maze Runner, but since there was no way to get a digital copy in Japan (stupid restrictions) I had to settle for a random download site. Ugh. Do you have a Paypal donation account or the likes where I can send what the book would normally cost?